We are midway through our annual School Sponsorship Drive and this year we are focused on educating girls in Ethiopia. With YOUR help, girls like Eyerusalem and her sister Birtukan will be able to proudly enter Ethiopian classrooms, a country where 3 million children don’t have access to education. We are dedicated to being part of the movement to Let Girls Learn! We have 34 days left to educate #100Kids in Ethiopia and we are more than halfway there! 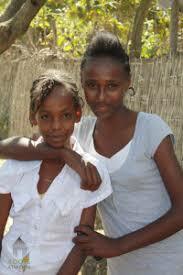 Previous Previous post: What Causes Gender Inequality at Rural Ethiopian Schools? Next Next post: When is Ethiopian Easter, or Fasika?